Just a quick disclaimer before I start… I’m an Easter Show tragic and have been attending the popular Sydney pastime since the early ‘90s, so when I was asked by my editor to review this year’s Sydney Royal Easter Show I was more than confident he picked the right person for the job. 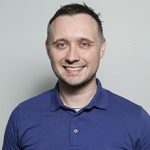 I attended the Show on its opening day last Friday and had a mental list of things I wanted to see and do, so I could put together the best review for our wonderful readers as possible. While I’ll get to some of the main attractions and new things to see a little later in the piece, the first thing on my mind when I arrived was my stomach and what new and popular Show food was I going to tuck into this time. Another disclaimer… when I was younger I was showbag-obsessed and would often leave the Sydney Olympic Park precinct with upwards of 10 bags in my hands. 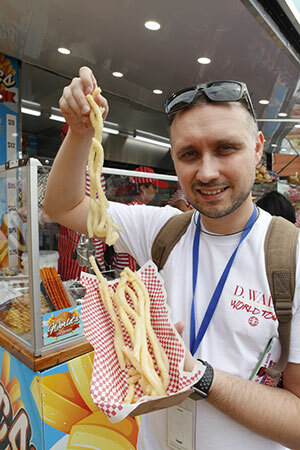 These days my Easter Show experience revolves around eating delicious novelty food. So with my Show guide in hand, I began my quest for some tasty Easter Show treats. The first thing I decided to try was the World’s Longest Fries. I couldn’t believe my eyes when I saw these foot-long golden delights in the flesh. While I decided to eat mine plain and simple, you can get these babies loaded with just about anything your heart desires including 20 different salt flavours! The next piece of goodness I chose to sample was a brand new item to this year’s Show. 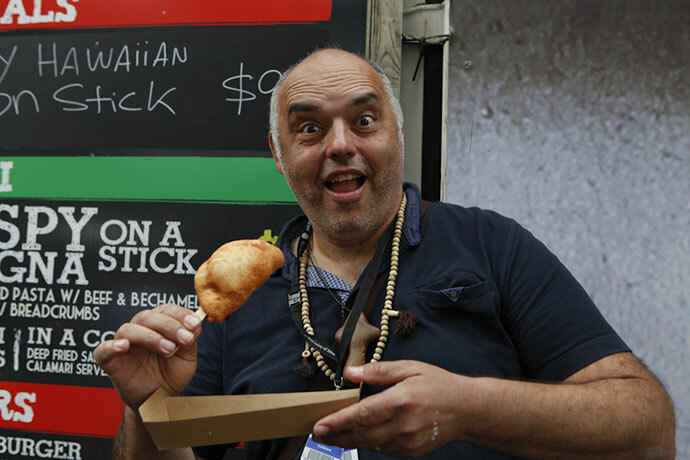 From the man that brought you Crispy Lasagna on a Stick, comes his latest creation – Crispy Hawaiian on a Stick. While I wasn’t a massive fan of his Lasagna option when I tried it a few years’ back, he absolutely nailed it with this one. Basically it’s a ham and pineapple pizza on a stick – that’s it! So basic, yet so good! The next item on my culinary adventure was a hot buttered corn from The Corn Shack. These buttery gems are a classic and my Easter Show experience wouldn’t have felt complete if I didn’t chomp down on one and get bits of corn stuck in my teeth. If you’re a sweet tooth like me, another great new item you just have to try is a Custard Bomb, which is pretty much warm, real custard encased in a crunchy round fritter ball with icing sugar on top. It’s a combination that, when you think about it, was always meant to be. My next stop on my food journey was a visit to the Woolworths Fresh Food Dome, which is always jam-packed of food stalls and things to try and buy. One stand that really caught my eye was Mum’s Buns, home to the soon-to-be famous Unicorn Buns. A colourful and vibrant twist to the traditional Hot Cross Bun, these beauties have a hint of white chocolate, delivering a sweet and sensational rainbow explosion of fantastical flavour. Before I get to the rides and some of the other things you must see, don’t leave this year’s Show without paying Mick’s Bakery a visit. Here you’ll be greeted with an award-winning range of novelty pies. 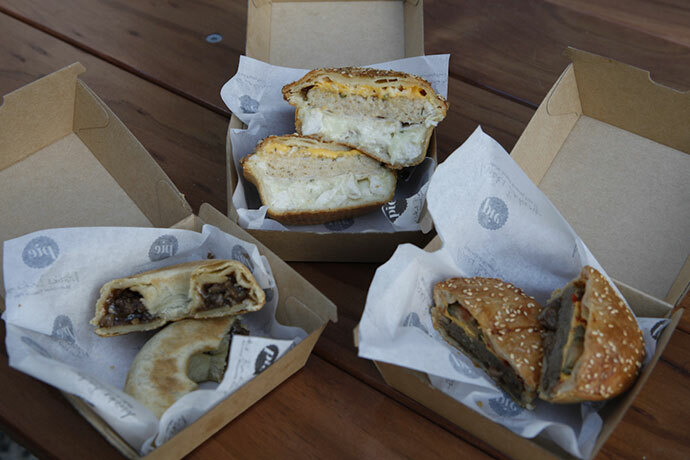 While Mick’s cheeseburger pie was a huge seller last year, he’s now introduced several new pies for you to get your teeth stuck into. Ever fancied a chicken burger pie or a Big Mac-style pie? How about a donut meat pie or a Reuben sandwich dressed as a pie? Whatever weird pie combination it is, Mick probably has it and, if he doesn’t, you can almost guarantee he will next year. I have no doubt your mouth is probably watering like Wentworth Falls right about now but before I finish, I must quickly let you know about some of the non-food related things you should really see when you visit the Show. – Little Hands on the Land – an interactive free activity that teaches kids the step by step process of how food gets from the farm to the supermarket. – Jurassic World 2 Fallen Kingdom – an interactive walk-through attraction which features a plethora of animatronic dinosaurs from the popular movie franchise. 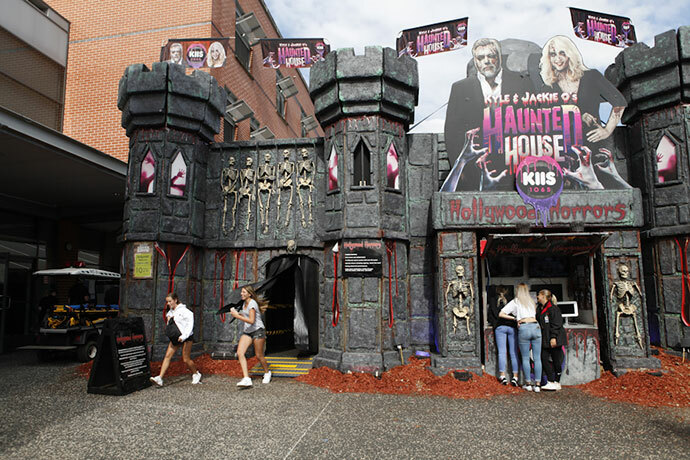 – Kyle and Jackie O’s Haunted House – with 13 rooms including a replica of the KIIS FM studio, 16 trained actors and 12 animatronics take you on a spine tingling journey that will have you screaming for more. – Skymaster Wheel – for the best views of the Easter Show and the whole of Sydney for that matter, get a ticket on this monster Ferris Wheel… you won’t be disappointed! 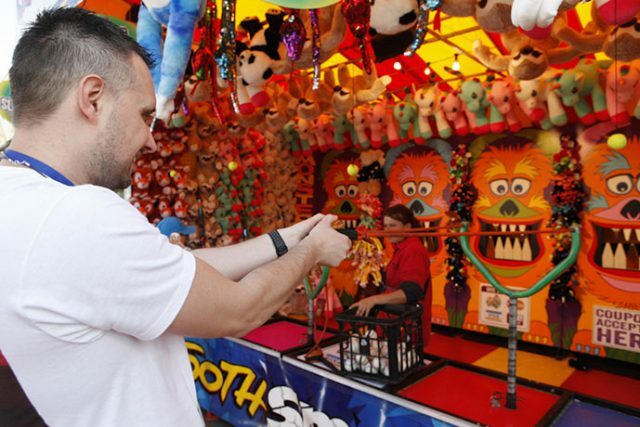 The 2019 Sydney Royal Easter Show is on until Tuesday, April 23 at Sydney Olympic Park, so if you haven’t been to the Show in a while, do yourself a favour and head down over the Easter break. Yes it will be very busy, but you’ll make a lifetime of memories which more than makes up for it. And lastly, strongly consider catching a train! Parking is a nightmare at Sydney Olympic Park and is not worth wasting your precious time and money on. Buy a ShowLink ticket at Woolworths or online before you go as it includes public transport. 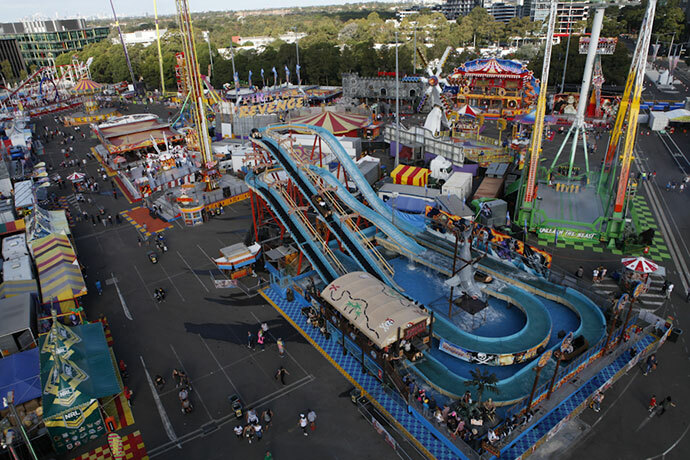 For more information and to plan your Easter Show experience, visit www.eastershow.com.au.